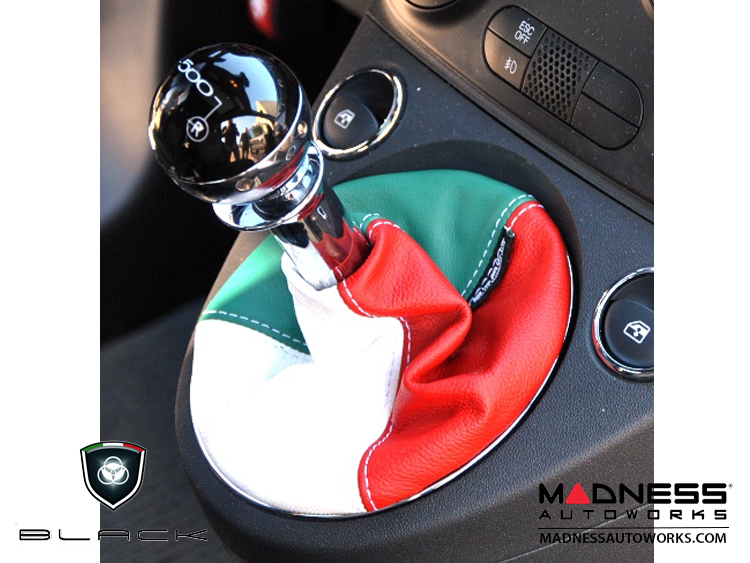 This is the Italian Flag Shift Boot manufactured by BLACK. 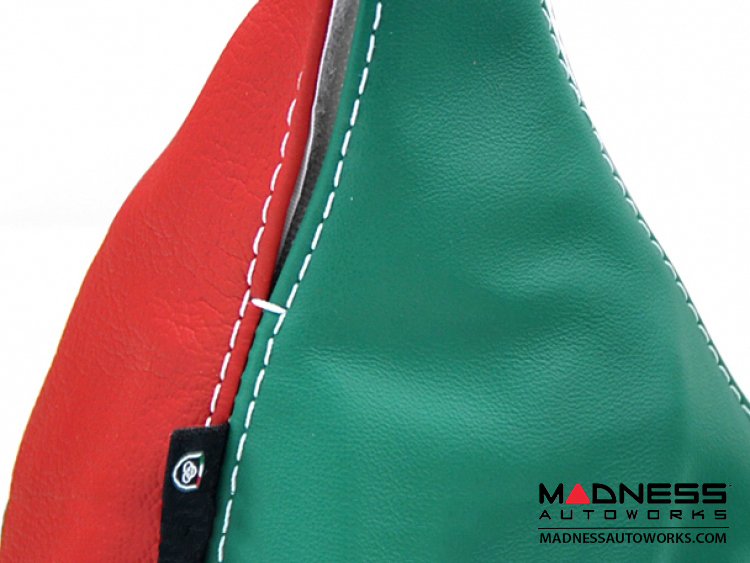 Made out of Genuine Red, White and Green Italian Leather and hand stiched for a beautiful look and feel. 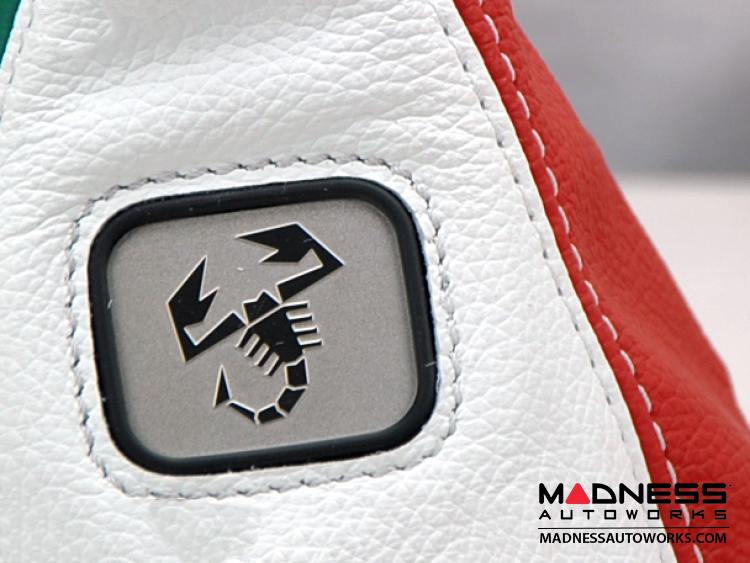 In addition this boot features a great looking Abarth Logo Plate that is stitched to the boot for the ultimate detail.